Forget everything you think you know about pasta and weight loss. A recent study published in BMJ Open suggests that eating pasta does not increase body fat or body mass index (BMI) and actually may contribute to weight loss. Now, read that sentence again one more time slowly, and really let it sink in. Researchers studied the effect of pasta alone or as a part of a low–glycemic index (GI) diet on body weight, BMI, and body fat. They conducted 30 randomized control trials with about 2500 people, in which participants ate about three servings of pasta a week instead of other carbohydrates as a part of a healthy low-GI diet. Each serving was about one-half cup of cooked pasta. "The study found that pasta didn't contribute to weight gain or increase in body fat," lead author John Sievenpiper, MD, Ph.D., said in a press release. "In fact analysis actually showed a small weight loss. So contrary to concerns, perhaps pasta can be part of a healthy diet such as a low GI diet." This is likely related to the fact that pasta has a low GI, despite being a refined carbohydrate, the press release explains. Most refined carbs are rapidly absorbed into the bloodstream, but the low GI of pasta causes smaller increases in blood sugar levels than high GI foods like white bread, cereal, and potatoes. Additionally, keeping serving size and other ingredients in mind is key for incorporating pasta into a healthy diet, as pasta can often come with sugary sauces and high-fat cheese. While this new evidence is promising for pasta lovers everywhere, the study authors stress that more research is needed to determine if the lack of weight gain from pasta can be extended into other healthy diets besides a low GI plan. However, researchers remain enthusiastic about the results they've found so far. 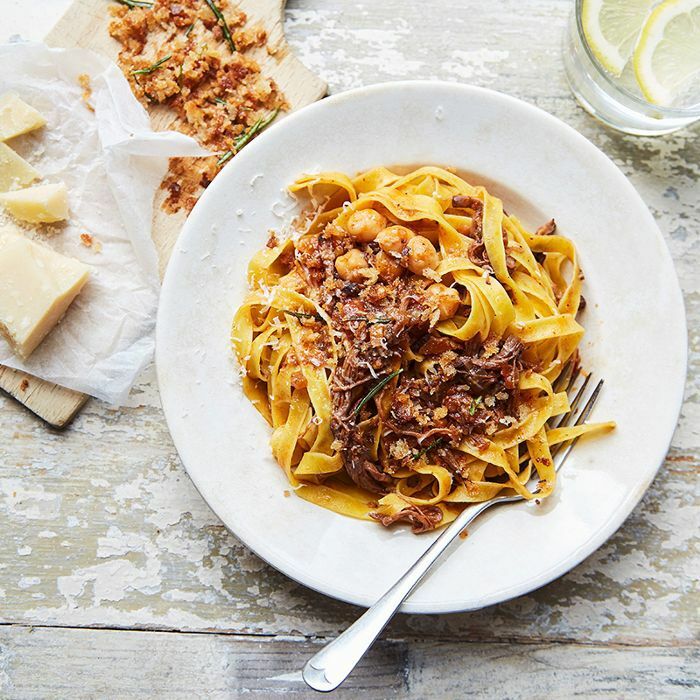 "In weighing the evidence, we can now say with some confidence that pasta does not have an adverse effect on body weight outcomes when it is consumed as part of a healthy dietary pattern," says Sievenpiper. Whip up one of these pasta recipes to celebrate the good news.